This week, one of my clients sent me a PowerPoint she created for a face-to-face presentation with a senior executive. When I opened up the slide deck, I immediately saw several problems. The image below displays the slides as sent to me. 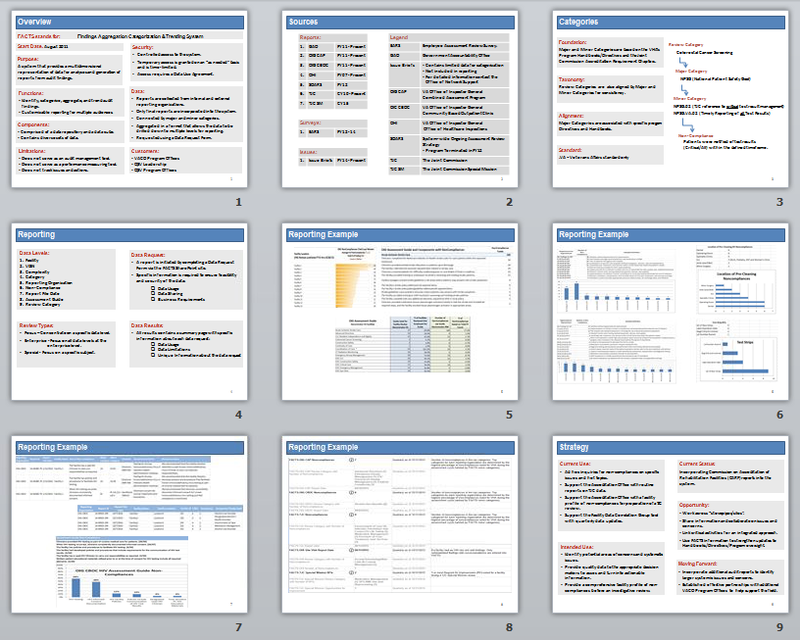 Even with out seeing the detail, it is clear that there is far too much detail for a presentation slide deck. 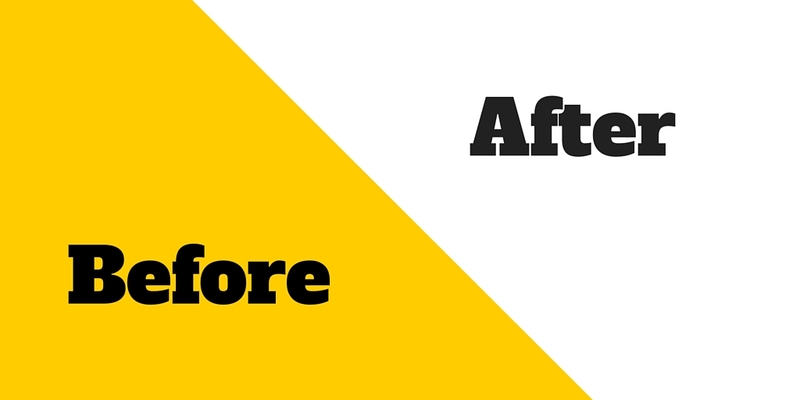 Slides should have a minimum of words and supplement the narrative you provide as a speaker. Additionally, even when printed at one slide per page, some of the smaller text remained unreadable. It can also be a temptation to simply read the text on the slides, thereby lulling your audience in a coma. 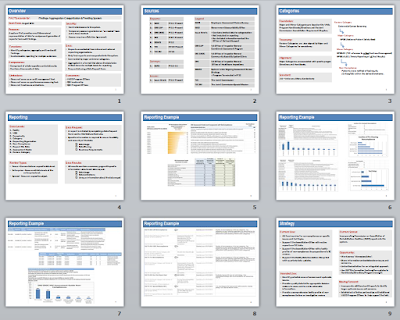 I advised my client to take the existing slide deck and print it out as a handout. Handouts are perfect for details as they can be saved for reading later. I made the following slide design recommendations to my client. Replace the pixelated image on the title slide (not shown here) with a word cloud consisting of the title of the reporting system and the various data sources. This slide could then work as the title, for the overview, and for some of the reporting details. I suggested that the client tell a brief story of how the reporting system provided assistance in the decision making process. By starting with a story, you can engage your audience and establish a framework for why the presentation is important. Instead a of detailed slide for the report structure, I suggested a simple visual starting with broad categories and ending with the detailed findings. I suggested that the reporting process also use a simplified graphic. While this graphic is displayed during the presentation, several different aspects of the process could be discussed. Finally, I recommended displaying the title slide as the final slide during which questions would be discussed. 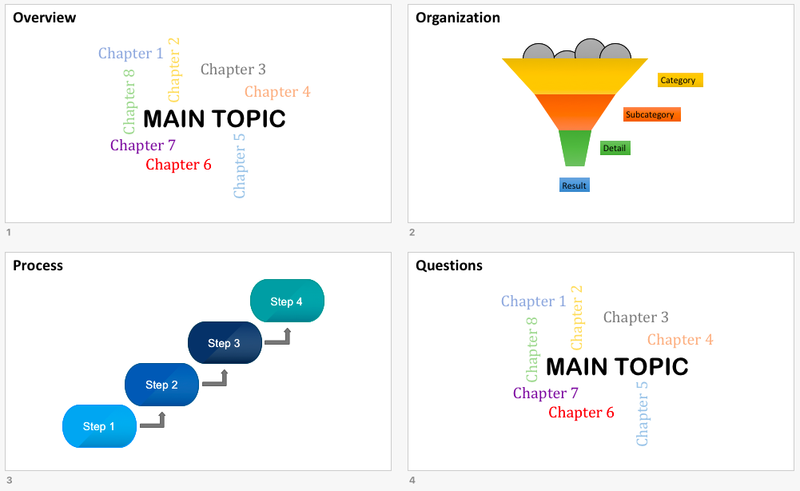 I created the Overview slide by simply inserting text boxes in PowerPoint and formatting the text (font size and color). For the Organization slide, I wanted to use a funnel to depict the process of filtering. I first searched on Bing, but couldn't find a funnel that appealed to me. Instead, I created a funnel by inserting shapes and adjusting the sizes and angles. The source of the graphic for the Process slide is Nancy Duarte's Diagrammer site. Diagrammer is a visualization system which features a variety of diagrams categorized by relationship, style, nodes, and dimensions. I think your tips is very actual, and to be sure that everyone who read positive aspects of PowerPoint presentation, know about it, they should read your article. Well done, thank you for sharing. I can recommend a good template for presentations http://www.pptstar.com/diagrams/. I've been doing a presentation, I like it. I use templates often, they make life easier.